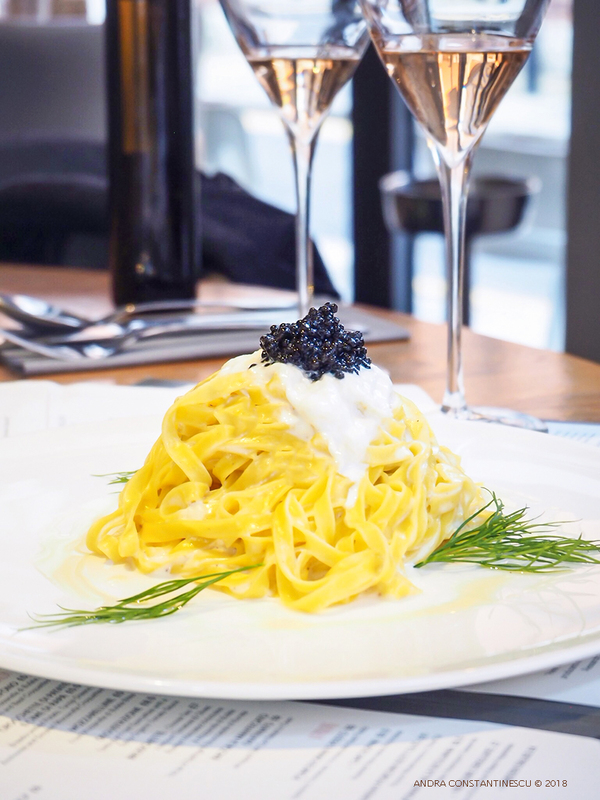 ...but when said pasta is fresh tagliolini with creamy straciatella and a dollop of caviar on top, I've got only one thing to say: bring on the bollicine! I usually go to Obicá for laid back vibes, *the* best burrata in town, fuss-free pizzas and the occasional Aperol spritz, which for some reason always reminds me of spectacular Italian sunsets by the sea. 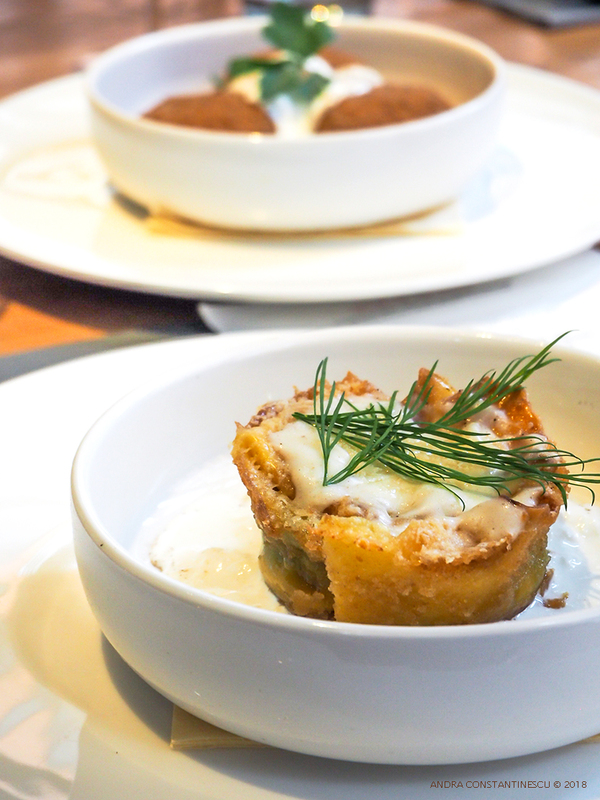 But this time I went over to try the new premium dishes designed by creative chef Alessandro Borghese. Arrived there with high expectations – as you do when you see the word ‘premium’ on a menu – and with a big appetite for all things pasta. The menu reads minimalistic, straight to the point and exciting enough to make me want to try everything. I love minimalistic descriptions on menus. And I love dishes that sound simple and uncomplicated. I start with the ‘lasagnetta’ – which literally translates as small lasagna. And so it is – a small parcel made of a lasagna sheet, filled with king prawn, bacon and a light white sauce. Pasta is well cooked, a bit crispy on the edges, and the sauce is light and silky. Makes for a good sized starter, or a light main course – if you want to leave room for a cheeky tiramisu at the end of your meal. Lasagnetta does indeed seem like lasagna’s younger sister: delicate, elegant and just the right amount of subtle. Tagliolini with Adriatic sturgeon caviar and Straciatella di Puglia is one of those dishes where the ingredients speak for themselves. The pasta was fresh – you can tell it is a good quality pasta just by looking at it, and it was cooked perfectly. I totally enjoyed the combination of straciatella and caviar, and I loved the simple and elegant presentation. I would note though that the tagliolini were rather on the tagliatelle side of pasta – but that’s just me being picky. Moving on, the third pasta on the menu is scialatielli with king prawns, courgette flower, ricotta and parmesan. Again: delicate flavours, nothing to overpowering, and everything coming together nicely in a beautiful dish that I would happily have for lunch any day of the week. There are two other dishes on the premium menu (salmon with buffalo yughurt, blueberries and sprouts; and rack of lamb with roast potatoes and anchovy bread sauce). Both sound delightful, but at that moment I had to say ‘hasta la pasta, baby’ and head straight to desserts. Tiramisu, of course – this fat lady of any Italian lunch opera. Piccola porzione per me, grazie very much! The new ‘premium menu’ designed by Alessandro Borghese is available in the UK exclusively at Obicá South Kensington.